WEEHAWKEN, NJ – Sales are underway at 1200 Avenue at Port Imperial, the highly-anticipated new addition to Lennar’s “Avenue Collection” of luxury condominium residences on the Hudson River waterfront in Weehawken, NJ. Featuring stunning Manhattan skyline views, upscale amenities and a collection of ultramodern condominium homes, 1200 Avenue at Port Imperial delivers a unique lifestyle opportunity to the New Jersey Gold Coast. Residents will enjoy a best-of-both-worlds scenario: the tranquility of waterfront living and the energy of an urban setting. 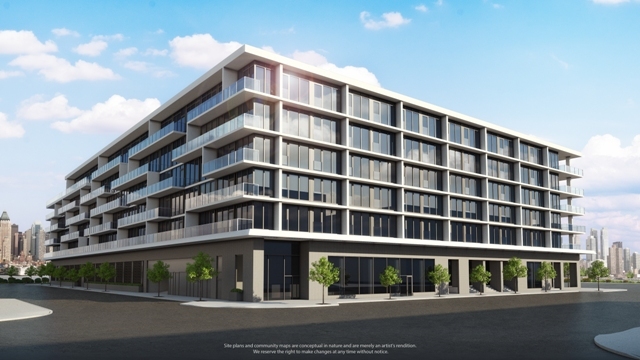 The opening of 1200 Avenue at Port Imperial comes on the heels of the success of 1000 Avenue at Port Imperial, the first building to open in The Avenue Collection. The new boutique, seven-story building includes its own amenities and features that further elevate the already lofty standards of the brand. A full suite of hotel-like amenities and services enhance that lifestyle experience. Private amenities at 1200 Avenue at Port Imperial include a grand salon lobby, library lounge, media screening room, children’s playroom, and state-of-the-art fitness center with men’s and women’s locker rooms with sauna and steam showers. On the 7th floor, the Skyline Social Room provides residents with a lounge-like space to relax and entertain, where a catering kitchen and bar, multiple gathering areas with fireplaces, sound system and televisions, and an internet lounge are available, all against the backdrop of the New York City skyline. Modern elegance extends to the residences as well which are encased in a sleek glass exterior with brick and metal panel accents, designed by renowned Manhattan-based architect Handel Architects, LLP. The property is designed to maximize views, with large windows and private balconies/terraces in most homes. One-to-three-bedroom homes with 887 to 3,139 square feet of living space are available at prices starting from $759,000. Select one- and two-bedroom homes include a den, while most residences feature private outdoor space ranging up to 1,036 square feet. Port Imperial also features a waterfront walkways system and numerous parks just outside residents’ front door, and the nearby Shops at Riverwalk offers a dynamic and animated riverfront destination, with retailers such as Son Cubano, A&P, Starbucks, Ben & Jerry’s and Giannone Wines spread out along a picturesque, waterfront promenade.